Test Result Timing: Dependent On Party, Which Parameter Test Or Totally Analysis. 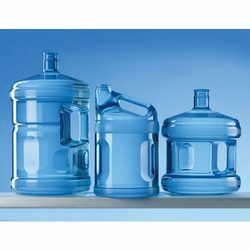 We are involved in providing Packaged Drinking Water Testing Services. These services are accomplished under the guidance of adroit personnel who have affluent industry proficiency. Owing to consistency, these are enormously demanded in the market. In addition, we complete this service as per client’s demand. With vast industrial expertise and affluent knowledge of this arena, we are readily instrumental in providing Packaged Drinking Water Testing Services. As per the detailed desires of our clients, these services are broadly cherished. In addition to this, these are offered as per the varying desires of our clients. METL Jaipur Packaged Drinking Water Testing provide physical, chemical and microbiological analysis of water to ensure it is safe to consume. These water testing laboratories make sure that the packaged drinking water is free from any hazardous chemicals, solvents, bacteria and contaminants in it. Detailed analysis of water is possible using our test kits. We can supply test kits for the analysis of hardness, alkalinity, chloride, phosphate, nitrite, silica, sulfite, hydrazine, iron, chlorine, pH etc. We are authorized dealer of Rakiro Biotech Systems (P) Ltd., Mumbai, for their range of water testing kits.